Changes for Harvard Square: Farewell, Café Algiers. Hello, Flour. 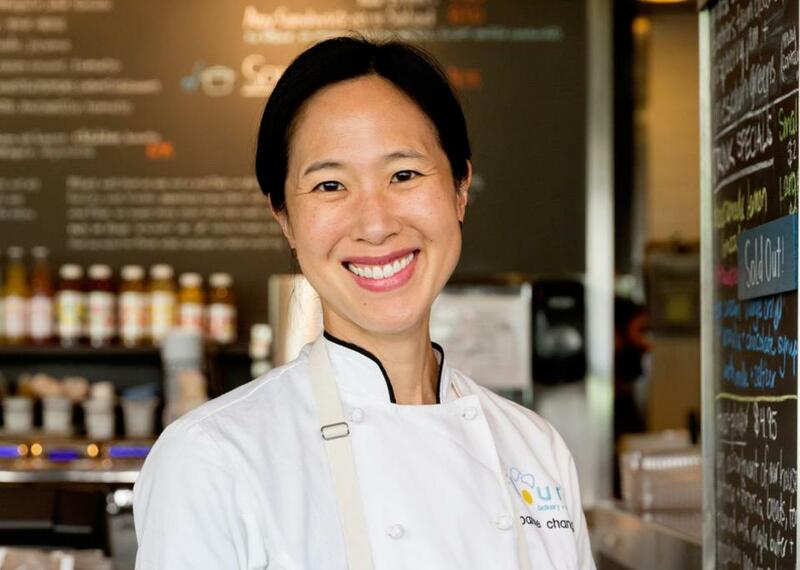 Openings: James Beard awardee Joanne Chang will open a fifth location of the beloved Flour Bakery (114 Mt. Auburn St. at Bennett Alley) Tuesday near Harvard Square. Set between the university’s campus and a more residential area, the bakery aims to provide Cambridge denizens with its famous sticky buns, and more. “I’m really excited to bring Flour to Harvard. I went to school here, so I remember very intimately when I used to walk around the square trying to find a decent pastry,” Chang said. London-based chain YO! Sushi has opened its first American stand-alone restaurant in the Seaport District (79 Seaport Blvd. at Thomson Place). Delivered on a conveyor belt, the sushi is freshly prepared and served using a color-coded plating system. Keep an eye out for hot classics such as takoyaki, or octopus-filled dough balls, and crispy chicken wings as well. “We’re looking forward to introducing fresh Japanese food to the local Boston population. It’s a really foodie town, and we hope it’ll fit in well,” said business and international development director Alison Vickers. Wildflower Pantry, a local-focused food shop, is now open in Brighton’s Oak Square (575 Washington St. at Montfern Avenue). The space, formerly occupied by Castlebar Pub, is aimed at providing those who live farther from the Boston Public Market and similar outposts with a year-round supply of locally sourced produce and supplies. Sonia Rao can be reached at sonia.rao@globe.com. Follow her on Twitter @misssoniarao.